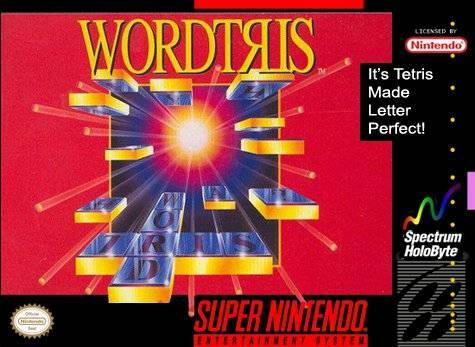 Wordtris for Super Nintendo has letters drop from the top of the screen, and you must form words horizontally and vertically. When the words form, the letters disappear, and the pace begins to quicken. As the letters continue to descend, look out for the letter to create the magic word that will clear all of the letters from the screen. You can have friend join the action with the two-player simultaneous option.